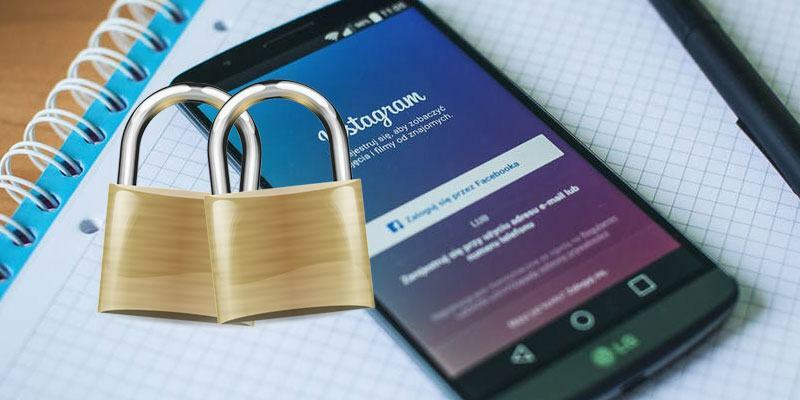 Time to Enable Two-Factor Authentication for Instagram on Android using the cool way that will help to secure your profile and also you will get notified if someone bypasses the one level of your security. Two-Factor authentication is also applicable to the Instagram, so the users who wish to increase the security of their Instagram accounts could apply for it. Each and every social media service which the users are using contains so much important data and private media of registered individuals more probably. We could say that even the media files or the private conversation through these social media services are also greatly valuable to the users. The security for that data is the major aspect which requires being focused clearly. This statement is reasonably accomplished well by the developers, and they had already integrated the login security feature on their social media services. Developers work hard to strengthen the security level for their password login system but still, it could not be stated as the most secure way to protect the user accounts. The hackers are quite intelligent and also much familiar with the password login panel hence they easily can pierce through that protection panel and gain the access to user accounts. Two-Factor authentication is considered to be the safest way to safeguard the accounts because in this process the one-time code is sent to the registered mobile number for the confirmation. Once the person correctly confirms that one-time code, then only he gains the accessibility to the account rather he is locked out of access. Instagram is the major social media service which is protected using the password encryption method. As the Instagram might also contain the private data of the users, therefore, they would likely tend to superimpose the security levels. Two-Factor authentication is also applicable to the Instagram, so the users who wish to increase the security of their Instagram accounts could apply for it. We have written about the method in this article through which the two-factor authentication could be enabled on the Instagram, just go and read about that! The method is quite simple and easy and you just need to follow the simple step by step guide that will help you to provide some extra security to your account. So follow the below steps to proceed. 1. First of all, open up the Instagram on your Android device and then inside it go to the Profile of your account. If you are not logged in then you will need to log in to your account first and then only you can check up your profile. 2. Open up the settings in Instagram through the three-dot button placed in the top right corner. When you will reach the settings panel you will notice there a new option named “Two-Factor authentication“. Tap on this new option and you will reach the other screen. 3. On the next screen, tap on the toggle button that is placed on “Require Security Code“. You should enable this feature through the toggle button by selecting the turn-on option from the prompt. 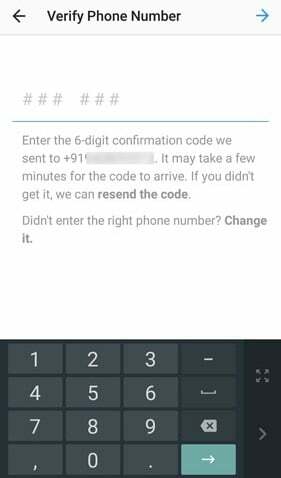 After that, you have to fill any eight digit code which would be sent to your phone number. You will be asked for filling in this code. Before that, you have to give your active phone number inside the settings so that the confirmation could be handled. 4. 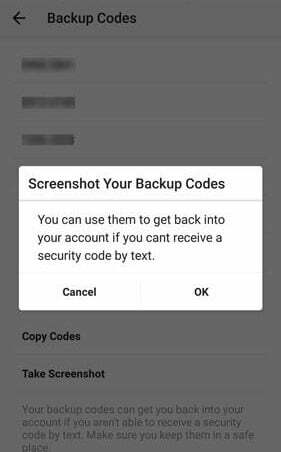 Verify your phone number through the eight digit code sent to your device and after that Instagram will give you some backup codes for the help in lost number conditions. Please make sure you remember those codes. Although the screenshot of those codes will be taken and saved to your device gallery. That’s all! You have finally set the two-factor authentication, just carry on with your tasks. 5. Now your account is secure and you can now easily access your account without any worry. So this was all about the method through which the Instagram could be secured with the two-factor authentication. The process is simple and the feature could be enabled for the account in minutes without any issues. 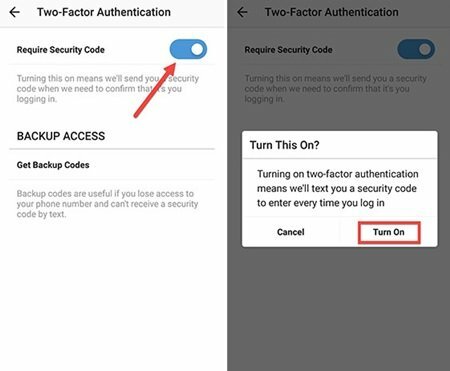 For the users, those who have applied the two-factor authentication on their Instagram accounts should notice that they should provide the contact number which they carry with them always as for the confirmation of the one-time code during login it will be required. At last, if you haven’t yet applied this security factor to your account then please go and apply it now!